The Seven Sisters Apostolate is a call to women to strengthen the Church by ensuring that a Holy Hour is prayed each day of the week for the sole intention of a specific priest or bishop—a “holy wasting” (cf. MT. 26:10) or lavishing of prayer for his deeper conformity to Christ. 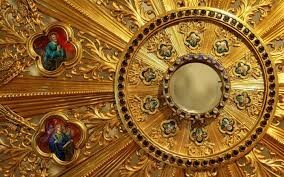 The commitment of each intercessor is to the day of the week versus a particular hour on a particular day. The Hour is ideally prayed in the Presence of the Blessed Sacrament - either in any Adoration Chapel or in front of any Tabernacle - thus not restricted to the parish for which the Seven Sister is a member. Each Sister secures her own sub for her particular day. The commitment to prayer is ideally for a period of one year (June - June). The group’s intention is directed towards the office of the shepherd more than the individual. The group will pray for the priest until he is reassigned, at which time his successor becomes the recipient of those prayers. The Apostolate was founded by Janette Howe in 2011 under the spiritual direction of Fr. Joseph R. Johnson. There are groups all over the United States and even in other countries.